Blog Commenting: Blog Commenting is a process that allows you to promote your blog as much as possible and create quality Backlinks for your blog. Blog Commenting is very important from SEO Point of View. We will talk about the Benefits of Blog Commenting in this article, which can explain why we should Blog Comment and how we can benefit from it. Blog Commenting is kept under Off-Page SEO because, in Blog Commenting, we do nothing on our blog but work for our blog so that our Blog can get benefits. 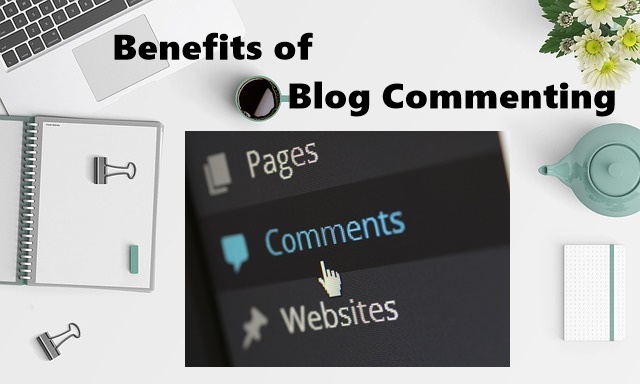 "Benefits of Blog Commenting"
By commenting, you have a lot of benefits, out of which 8 Benefits are the most important that you must know so that you can understand the Importance of Blog Commenting well. First of all, you can create Quality Backlinks for your blog. Quality Blog link is the most important for any blog, whether it is Do Follow Backlink or No Follow Backlink. To create Quality Backlinks, you can first check out Blog Ranking on what is the ranking of that Blog on Search Engine. When you add your URL to Comment on a good Ranking blog, due to their blog, your URL also appears to rank on Search Engine. Which makes Ranking Improve your Blog. Some Blogs on the Internet also offer Do Follow Backlinks, so in this way, you can also get Do Follow Backlinks from Blog Commenting. When you comment on a blog then both the Readers and Owner of that blog gets information about you. Whichever you are doing well then their Readers and Owners like to be connected to you. You get good relationships with them in this way. This is essential for any new blogger. When you make good Relation with other bloggers, then they also favor you and support you. There is a lot of help in improving your Blogging. You know what the other blogger thinks about this topic when you read an article by visiting someone's blog. Because the thinking of all people is different from each other, so you get some new information from them so that you get the topic cleaned well. At the same time, it happens sometimes that when we read an article, we think it's okay or that this thing should have been added. Which we can share with the blogger. When you give feedback to a blogger, she also tries to give her your feedback, which can help you to identify and eliminate the deficiencies in your article. You can also say that we can give feedback to each other's blog, which is very important to all bloggers. If you find out what you do on your blog, you can improve your blog by eliminating these errors. You can promote your blog as a blog commentary tool. You must enter your name, email address and website address when you comment on a blog. And when you create a blog, you also add an icon of your blog to your email, so that when you comment on a blog, there also shows your Icon with your name. So that people know about your icon. In this way, you can only comment on other blogs through your blog, so your blog is like a brand in front of people. We all think about how we can increase our blog traffic. We can let you know that via Blog Commenting, you can make a lot of traffic increase on your blog. When you comment on a blog, visitors can read your blog comment and anyone who likes your comment or wants to know about you. You click on your name and you will be redirected to your blog to get more information. They visit your blog in this way, which begins to increase traffic on your blog. To Increase Traffic To Blog You need to Daily Blog Commenting so that you can comment on the latest articles. Because if you comment on a recent article, this article increases the chances of a significant increase in traffic on your blog. We all have different thoughts of people, due to which our way of writing is different. Now a Better Question comes out that how Written Articles Written by Blog Readers seems to be the best. Because we should think about our visitors, when you start blogging, then there is no information about Content Writing. Because of which you only write things about which you have information. But is only enough information that is enough for Readers. No, you need to understand that what other bloggers have used to explain the same topic. What kind of Headings, Examples, Images, etc. are they using, because with the help of all these things you can improve your article. You can also say it like this, by doing so, your Writing Skill gets Improve and you can create better content. As: When you read an article on a New Topic, then the disadvantages of that article are revealed or information is reduced which you can remove in your article and create a more effective article. When we visit Different Blogs for Blog Commenting, we also get some blogs where we can comment from our Facebook Account or Google Plus Account. Thus, some Blogs facilitate Commenting from Different Social Media Sites. You can comment on your blog through your Social Media Account. When you comment on a blog from Social Media Account, and when their Blog Visitors are redirected to your Social Media Account by clicking on your comment. Then they know about your Social Media Pages and they follow your Page through Follow Button. This way you can Increase Your Social Media Followers Through Blog Commenting. When you visit to comment on a blog, you first need to read their article. Which gives you information about their content. With this, when you visit to comment on a blog, we always prefer to comment on their latest articles. By which we can get more benefits and because of this we also read their article so that we get the information on their new topic and we can write that topic on our blog too. Through which our readers get more articles and information on our blog and at the same time we get as much information about that topic as well. In this way, you can take the benefits of Blog Commenting and make your blog more popular by making Traffic Increase on your blog and your blog's Ranking High. For any other information related to Blog Commenting, you will find many articles on our website and if you have any questions then you can tell us in the Comment Box. We will reply to you soon.